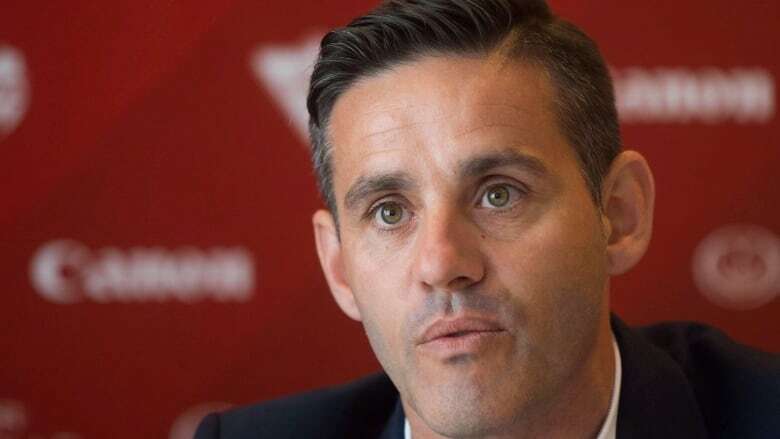 John Herdman, who led Canada's women's soccer team to back-to-back Olympic bronze medals, is taking over the Canadian men's program. John Herdman, who led the Canada's women's soccer team to back-to-back Olympic bronze medals, is taking over the Canadian men's program. He replaces the fired Octavio Zambrano, who was named head coach of the Canadian men's national team program last March. Herdman's new title is national team head coach and men's EXCEL director. The surprise announcement came Monday evening. "It was an organizational decision. 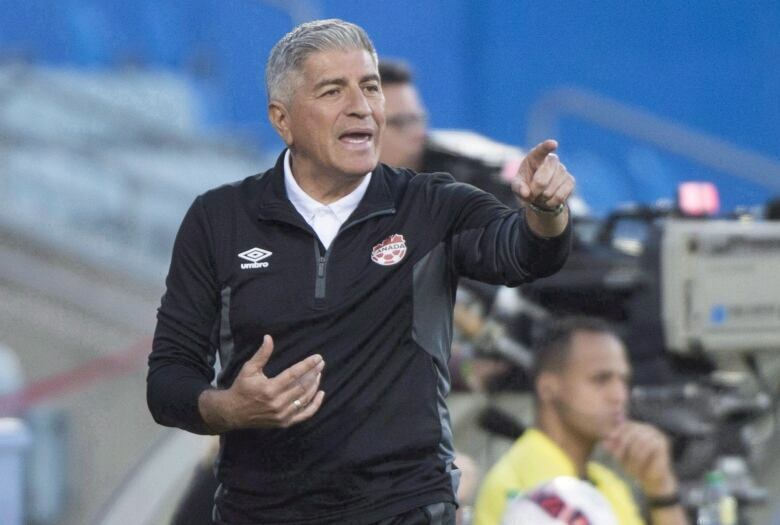 Octavio's departed Canada Soccer effective immediately," Canadian Soccer Association president Steve Reed said in an interview. Reed denied that any specific incident had triggered Zambrano's sudden departure. "We're looking at long-term, what we felt was necessary in terms of the development of our programs on the men's side," he added. "And we wanted to build that long-term alignment much like we've experienced on the women's side. "When we did that organizational review, we determined that John Herdman was the right person to lead that." Former assistant coach Kenneth Heiner-Moller takes over the Canadian women. Coach of the Danish women's team from 2006 to 2013, the Dane was a part of Herdman's coaching team at the Rio Olympics as a part-time assistant before moving to Canada to be a full-time member of his staff. Heiner-Moller's title will be national team head coach and women's EXCEL (developmental) director. The Canadian men are currently ranked 94th in the world while the women are No. 5. The 42-year-old Herdman took charge of the Canadian women in August 2011. He succeeded Italy's Carolina Morace after a last-place finish at the 2011 World Cup in Germany. The women's program was in a dark place. Gradually the charismatic Herdman built it back up while developing a pipeline of young talent. The English native took Canada to a record-high fourth in the world rankings after winning bronze at the 2016 Olympics, cracking the top five for the first time. Herdman had been linked in some circles to the vacant English women's coaching job but he wanted to keep his family in Canada. He had recently talked of a move back to the men's side of the game but not until the 2020 Olympics. It appears that the men's opening came sooner than expected. "I've done seven years with the [women's] team," Herdman said in an interview Monday. "I've enjoyed every minute of it with the group. "But I'm a builder, I'm a developer. With Canada Soccer and the rest of the crew we sort of built that program back up from scratch, built the high-performance system, built the talent development system, brought the right people in." "I just feel the [women's] team is there now. They've got the players," he added. "They've got the players to be successful and that's often the hardest thing to do." Herdman previously served as head coach of New Zealand's women's team and national director of football development. The 59-year-old Zambrano, a well-travelled coach from Ecuador, previously coached club sides in Colombia, Ecuador, Hungary and Moldova as well as the Los Angeles Galaxy and MetroStars in the early days of Major League Soccer. His record at the Canadian helm was 3-2-2. The Canadian men were ranked No. 117th in the world when Zambrano was hired by Victor Montagliani, currently president of CONCACAF. While Herdman has inherited a huge challenge in the men's team, whose lone World Cup qualification was in 1986, there are positive signs. Plans are under way for a domestic league in the form of the Canadian Premier League and Canada is part of a joint 2026 World Cup bid with the U.S. and Mexico. "It's an exciting time," said Herdman. "It really is an exciting time for the men's game and I think that's where hopefully my skill sets come in as a strategic thinker, a person detailed with planning who can look towards 2026 but also keep one eye on 2022 — which is what I've been doing with the women's side — synthesizing a football system to get the best out of it ... and then driving the changes through, getting the right people around the team to make the changes." Herdman will be in charge of the senior men's team and all national youth sides from the under-14 level. In other moves, Bev Priestman will serve as women's national EXCEL director (U15 to U23) and as assistant coach to Heiner-Moller. Last November, Herdman was awarded the Jack Donohue Coach of the Year Award by the Coaching Association of Canada. "Coaching is my passion," Herdman said in 2011 when he was hired by the Canadian Soccer Association. "It's what I get out of bed for every day and this is an opportunity to do something special." Herdman grew up playing soccer, describing himself as an "OK" central midfielder. He went on to play semi-professional football in the Northern League and for his university. Knowing a pro career was not in the cards, he started to take coaching courses at 16. He had his own soccer school at 23 and then spent three years at the Sunderland academy where he worked with a young Jordan Henderson, now a Liverpool star.